Today we pitched out ideas to Helen Brunsdon, Rosa and Derek. Below are screenshots of my power point with some annotations as to what I said and the reaction I got from the them. When I mentioned this Helen she asked me why I has written it as 22mins. 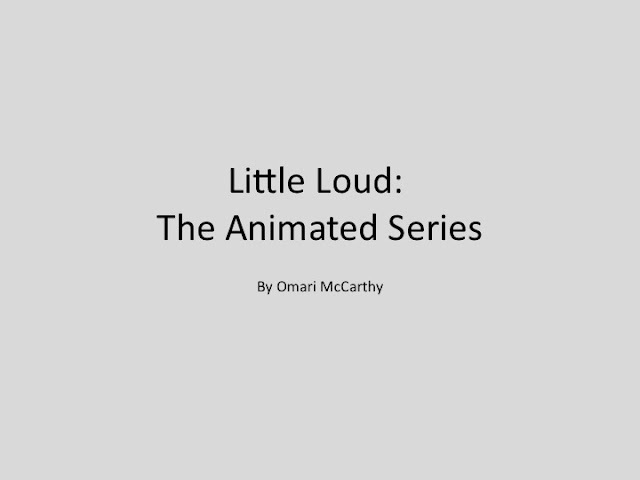 I tried to justify the amount of content I have for the show and being able to fit it into a 22min gap. After the session I realised she was talking around the subject. 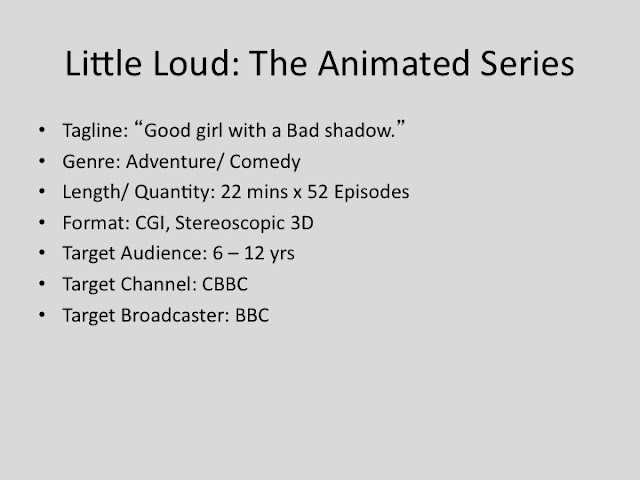 Why would you have a 22min episode for a channel that does not have commercial breaks? 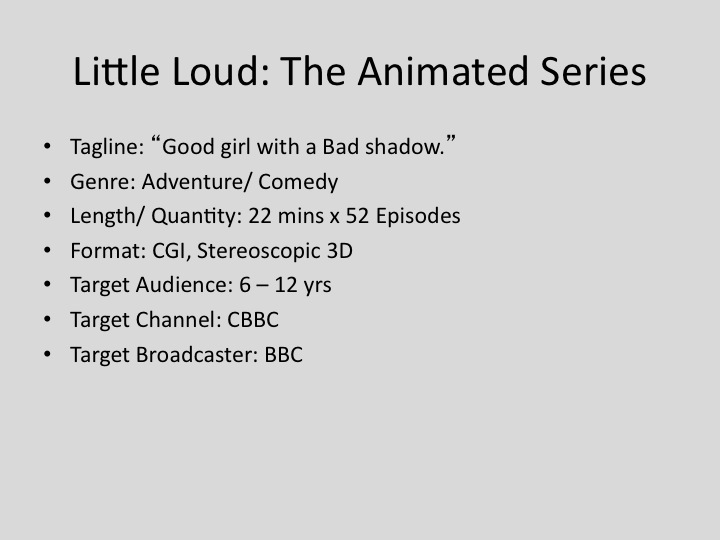 CBBC are more likely to show 29mins or two 14min episodes back to back to ill the half hour gap. 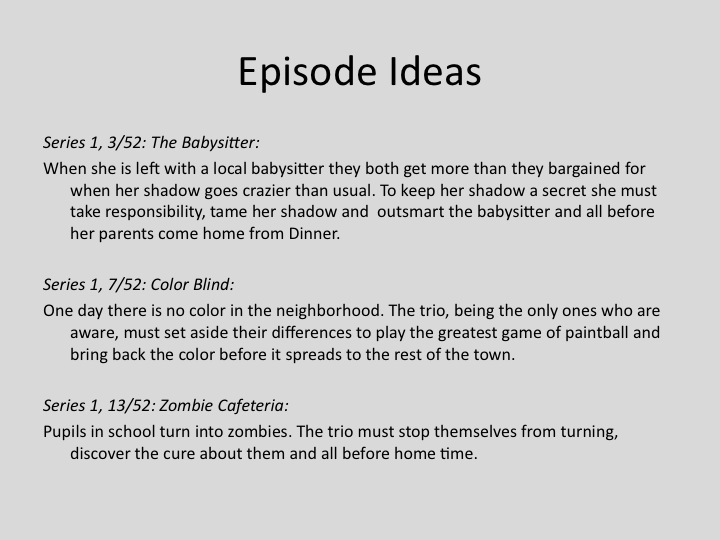 I then move on to episode ideas showing the above outlines to give them a better idea of the show. They made it pretty clear to me that I could focus on the piece as a short but I don't agree. I need experience pithing animated TV series and there is no better practice than by doing it. I have decided to settle on the visual style of Jon Klassen (see above) as I think it suits the Little Loud world very weel. 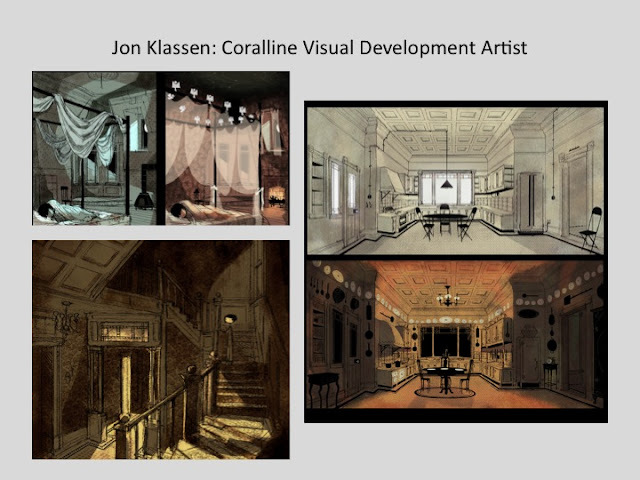 From now on I will have the production design team conform to his style. Rosa wants me to begin testing the visual style in 3D using maya toon shaders. I don't think it will be too hard but I plan to assign that work to someone else so I can focus on story over the weekend. In am also having my pre-production team looking at the Shane Pringmore, Visual Development artists for Coraline, and Tony Merrithew, a character design for Coraline who worked in sculpture first. 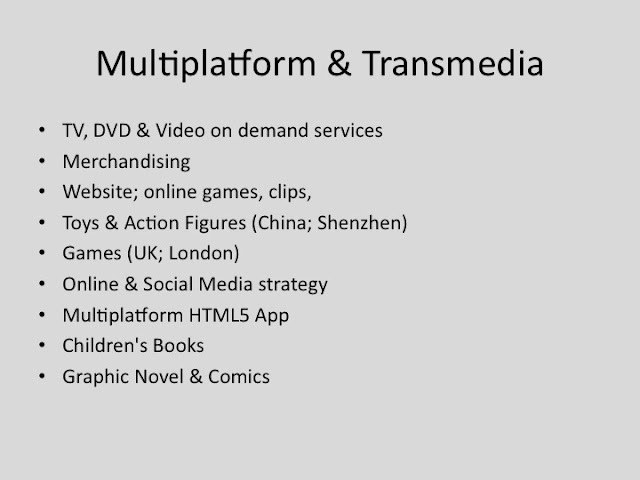 When I brought up the potential for Multiplatform and Transmedia potential they did not seem to care. This may be because my story was not in place but I have a feeling that even when it is they do not want to hear this from a student. I may consider leaving this out for the final pitch depending on who we are pitching too. 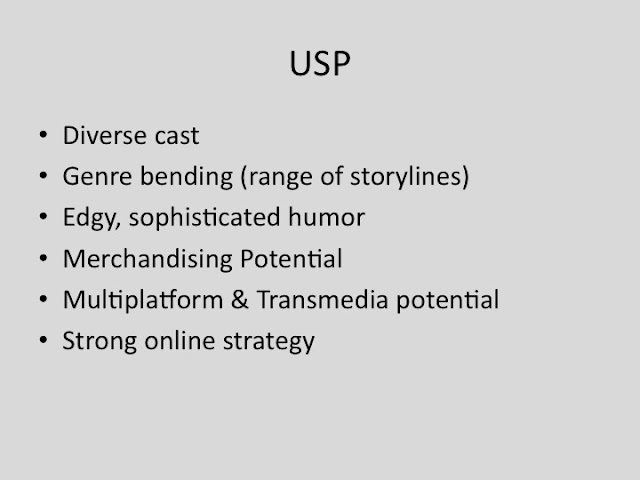 These UPS points are fine for now but they need to be more about character and story. I also need to memorise these things and now say them. 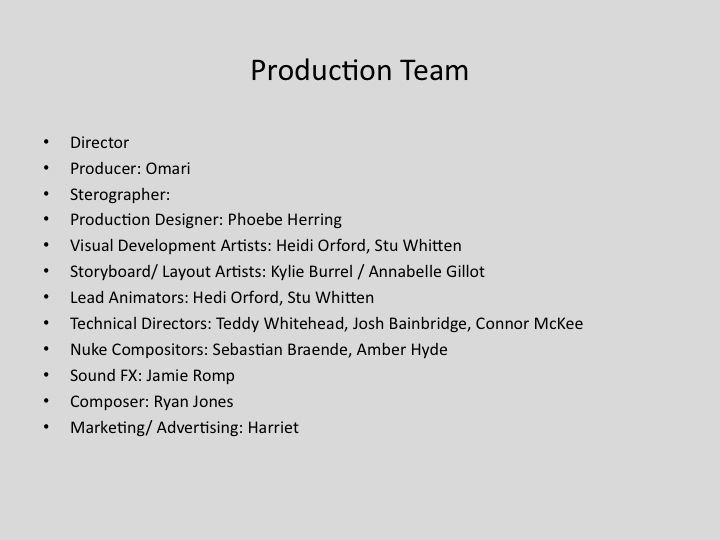 Kylie approached me about the storyboard position but I have Annabelle in 2nd year taking it at the moment. I may take on Kylie because she is more proactive than Annabelle who does not even seem to turn up to the studio most days so it is difficult to know where she stands. There were several other presentations I has my eye on. The "Tidal Grip" product of Lauren Prior Smith & Sophie Graham's creation seemed interesting. 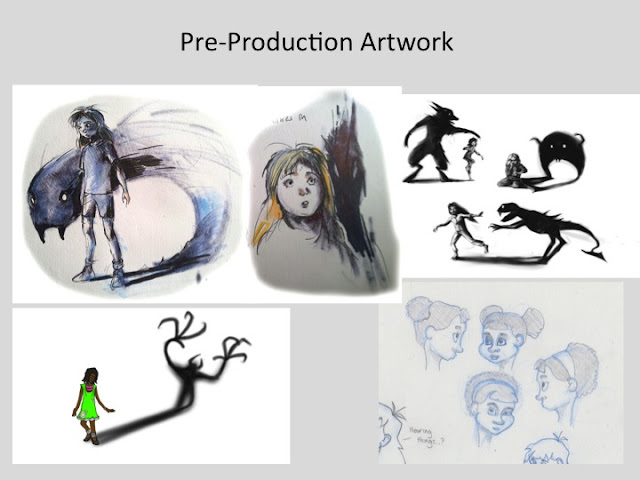 They are making four different 30 second spots that promote the major selling points of the project which I want to work on as they may be combining live action with CGI. I have only had a few chats with Rosa but I really like her. I am slightly disappointed she will not be here for the rest of the year but I wish her all the best.